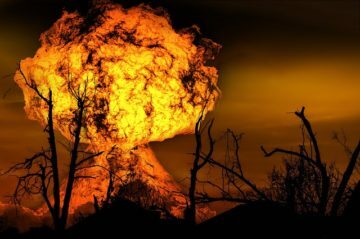 If you were to take a little time (or perhaps watch an apocalyptic movie or two) I’m sure you could imagine an absolute worst case scenario — societal collapse, nuclear armageddon, zombie uprising, worldwide pandemic, that kind of thing. Events that result in millions of lives lost and an irretrievably changed world. The kind of event that sends you running into the woods, hoping that you can survive to…well, who knows what. The key is just survival. Just writing that brought many dark images to my mind; as you read it, you no doubt visualized some dystopian end to society. That, in fact, is what many people believe they’re preparing for. That’s their interpretation of “worst case scenario”: The very worst thing they can possibly conceive of, regardless of likelihood; an event which requires vast amounts of preparation to survive, and for which survival may not even be possible. When I talk about worst cases, though, that’s not what I mean. Preparing for that event isn’t really possible, and might actually lead you to be under-prepared for what may actually happen to you in your life. When I use the term worst case, I mean YOUR worst case. It’s the worst plausible event that you might expect to encounter in your life. It’s the worst event that you could reasonably believe would happen, given the variables of your life and your environment. The worst case you need to prepare for isn’t the absolute worst, which is a fantasy, but the relative worst, which is realistic. There are several problems with attempting to prepare for the absolute worst conceivable scenario. First, the preparations you make for the fantasy event may not be what you need to survive your realistic worst case. If you’ve prepared for something outlandish, what actually happens may have different needs or require something for which you’re under-prepared. Remember that any kind of prepping, whether it’s for a disaster or a defensive scenarios, uses resources — money, time, energy, space. Each preparation uses a different proportion of those resources, and you have a limited amount of each. If you use up resources for the fantasy scenario, you may not have a sufficient amount left to prepare for those which are actually likely. One of those resources is your mental energy — your attention and enthusiasm. Let’s face it: The opening stages of any new enterprise or hobby are where your mental energy is at its highest. The further you go into the activity, the more of that energy you use. It’s very likely that you might get excited about something like a zombie apocalypse and feverishly prepare, only to lose interest quickly and end up failing to prepare for something common, like escaping a house fire. Finally, and perhaps most importantly, elaborate prepping for the worst imaginable scenario blinds you to the fact that a little preparation goes a long way. It’s surprising how little you need in the way of skill, equipment, and determination to survive the vast majority of events. It’s that first 20% of training and equipping that really gets you through the event, and it’s where you should be placing your emphasis. Fantasy scenarios by their nature demand over-preparing, because the fantasy expands in your mind to consume more and more resources. That’s where you lose sight of what really matters, what’s really important, and what will really make you and your family safer. This is why it’s so important to figure out, up front, what the realistic worst case scenario is for you and your family. It helps you avoid the trap of fantasy thinking and the waste of resources (including your mental energy) that accompanies doomsday fantasies. When you know what you’re preparing for, you’ll make better decisions about how much and where to spend your limited preparedness resources. Preparedness should always allow you to live your life, not consume it. If your prepping or self defense training takes up all of your free time or vacation, that’s a sign you might be well beyond the point of “enough”. Make sure you’re preparing for the right things, that your preparations are reasonable, then go out and enjoy life secure in the knowledge that you’re ready for your reality. P.S. : This is why the first big part of my book Prepping For Life focuses on evaluation, giving you a specific and structured way to figure out what’s actually likely in your life. It’s the best solution I’ve yet come up with to avoid fantasy thinking. Hey Buddy!, I found this information for you: "What does “preparing for the worst case” mean?". Here is the website link: http://www.grantcunningham.com/2018/01/preparing-worst-case-mean/. Thank you.